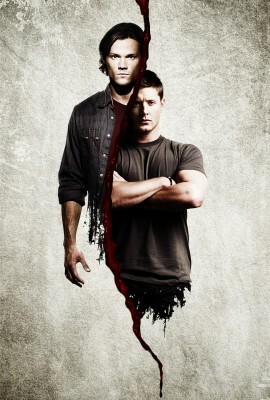 Over the years on Supernatural, sacrifice has been an ongoing theme. Here’s a look at some of the sacrifices the Winchesters have had to make from seasons one through five. With the culmination of the Season 5 finale “Swan Song,” the long line of Winchester sacrifice continued. I had long been anticipating this outcome because it was Sam’s turn (he managed to slip out of the annual sacrifice during the fourth season). Have no idea what I’m talking about? Read on! Mary was the first Winchester to sacrifice his or her life for another family member. We actually didn’t find out about this until the fourth season with the episode “In the Beginning.” The Yellow-Eyed Demon, in the form of Samuel Campbell, killed young John Winchester. Mary made a deal to bring John back and in return she would allow old Yellow Eyes to come into Sammy’s nursery on the fateful night we know so well. Now, she didn’t know at the time that she’d be sacrificing her life in this trade, but she did know she’d be sacrificing something. However, her love for John outweighed any dangers that may be lurking around the corner. And that sacrifice set off the chain of events that are still unfolding for the Winchester family. This would be the first sacrifice chronologically that we knew about, taking place in the first episode of Season Two, “In My Time of Dying.” John, having been possessed by the Yellow-Eyed Demon, had beaten Dean up badly. These injuries were compounded by the car accident and Dean was pretty much at death’s door. John just wanted to save his son, so he offered up his most prized possession — the Colt. However, old Yellow Eyes needed a sweeter pot than that, so John had to give up his soul, his life. And if it meant Dean could live, he’d do just that. This was perhaps the most jarring deal that the audience had witnessed because it was the first one we saw and we were not yet aware that this was the Winchester way. Someone they loved was going to die, so they jumped in line first. It was always Dean’s job to watch out for Sammy. 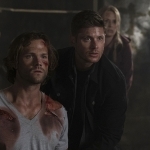 When Sam got killed by the hands of Jake, Dean did what any brother would do… he went to the Crossroads Demon and offered his own life in return for Sam’s in the episode “All Hell Breaks Loose, Part Two.” Normal terms would have given him ten years, but they wanted his soul and they wanted it quick, so they gave him a year. 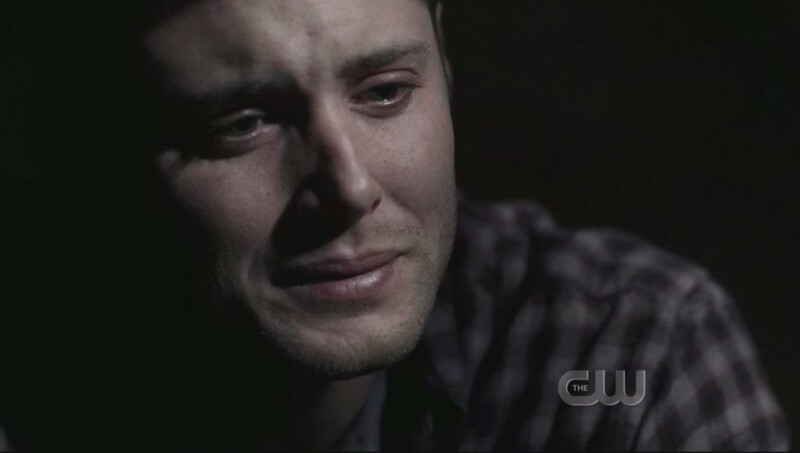 And of course Dean took the deal because it meant Sam would live again. It also set us up for the countdown of Season Three, a race against time to see if Sam could get Dean out of his deal before his time was up. Now, going by the set-up we established, Sam’s sacrifice and death should have taken place in Season Four. Mary died in Season One, John died in Season Two, Dean died in Season Three, so I was waiting for Sam to continue the trend in Season Four. Ah, but the pattern was meant to be broken and he got an extra year. So, as Season Five was drawing to a close, it was inevitable that Sam would have to make a sacrifice and all signs were pointing to the fact that he probably wouldn’t make it out alive. And so, with the finale of Season Five, and the episode “Swan Song,” Sam continued the long Winchester tradition and gave up his own life for another. But instead of dying to save a family member, Sam died saving the world. It’s a proud honor and worthy of the Winchester sacrifices that we’ve come to know. Screencaps courtesy of Oxoniensis Screencaps and the CW. Sam meant to sacrifice himself at the end of S4, though. 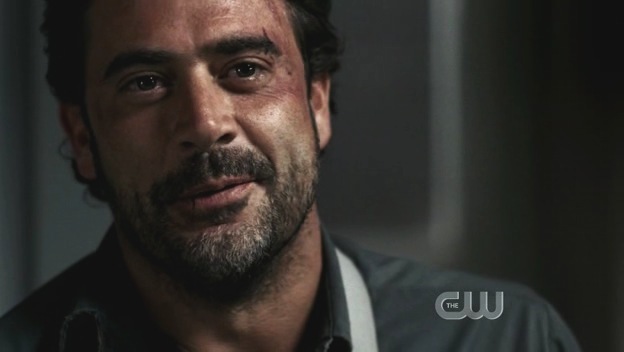 “You’re talking like I’ve got an after”–it was a suicide run, motivated part by revenge for Dean and part by needing something to do with all the power he was addicted to, but in large part because, well, Lucifer, and what did it matter if Sam ended up damned and dead if he saved everybody in the process? Sam was more than willing to sacrifice his life and soul in season 4 I think we saw that when he agreed to start drinking demon blood. Seeing Dean’s fragile state and hopelessness and no other alternative to stop Lilith in “Criss Angel” Sam agreed after saying no to Ruby repeatedly to drink demon blood ,something he dispised because of what it has cost him and his family. But he was willing to do so which I see as a huge sacrifice as it must have gone against everything he beleived in to do so but he was willing to do it if it could stop Lilith and save his brother and the world. 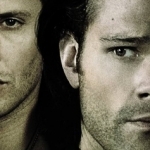 Sam and Dean were both victims and pawns ,each broke one seal and each used by Heaven and Hell. Both were played respectfully by Ruby and Castiel and both were told killing Lilith was the way to stop Lucifer from rising. Heaven ,Castiel included orchestrated the whole apocalypse and Sam could never have killed Lilith without Castiel’s help. 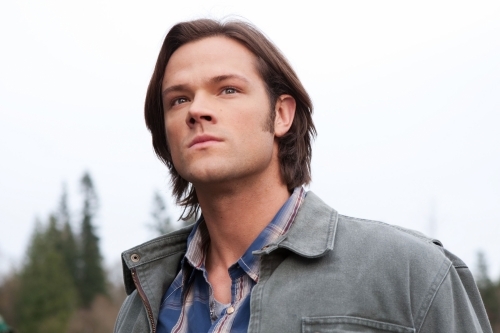 I agree Sam did save the world he sacrificed himself alone for the sins of all involved. I love that family mattered above all else, that in the end it’s always been about family. The love Sam and Dean have for each other being the power that took down Lucifer.